Musician percussionist, artistic and executive producer of his records, adventurer, inspirer is at the service of life. The inspiration of such many different ressources brought him to work with renowned international artists around the world. He collaborates with those who pioneered what is known as World music. Didac LAZARO offers concerts, exquisite soundtracks with ancestral songs, with instruments from around the world, African calabashes from Mali, African water gourds, drums and African harp made by his care with the intention to captivate our attention by their vibrations and frequencies filled with joy and harmony! These concerts lead us to a reconnection that allows us to regain self-confidence and invite us to immerse ourselves in adventures across the continents. It also offers musicality workshops for children, adults and families. His experiences of life allow this musician with a wide open heart to bring joy, harmony and positivity to the participants. Didac R.Lazaro, musician, music teacher and world globe-trotter has been organizing music workshops for many years. In the hospital's palliative care station, he brings his little seed of happiness. He is very grateful for this work and loves to share his knowledge and talents always with a big heart! Thanks to these healing frequencies, he knows how to open hearts and connect with our own essence. He realized that it is so important to show the idea of "freedom, love, intuition" & to bring us back to the place & space of our true own values! This reconnection allows them to regain self-confidence, to remember our essence of life. 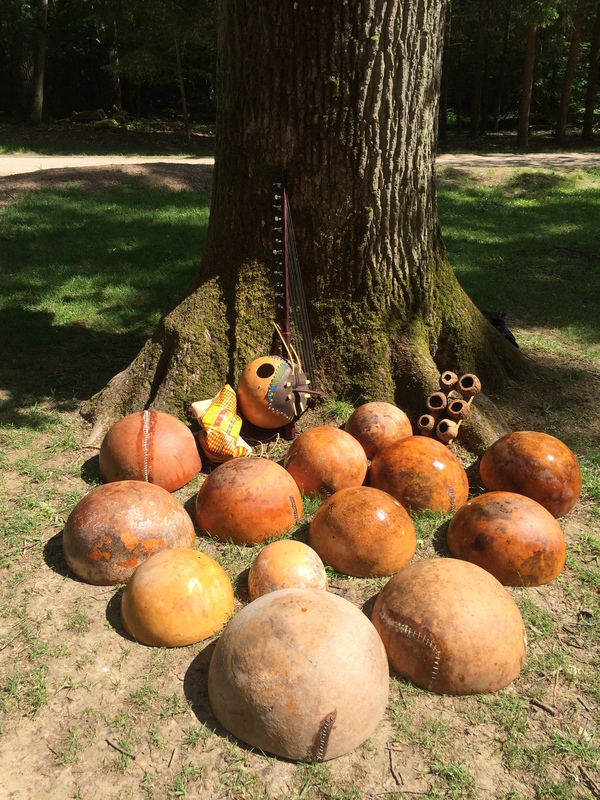 In this workshop: the musician Didac R. Lazaro will bring African calabashes from Mali ( water drum), kamele n goni( african harp), and diferent kind of instruments.... He likes to share, and talk sing about his adventures of trips in the world.